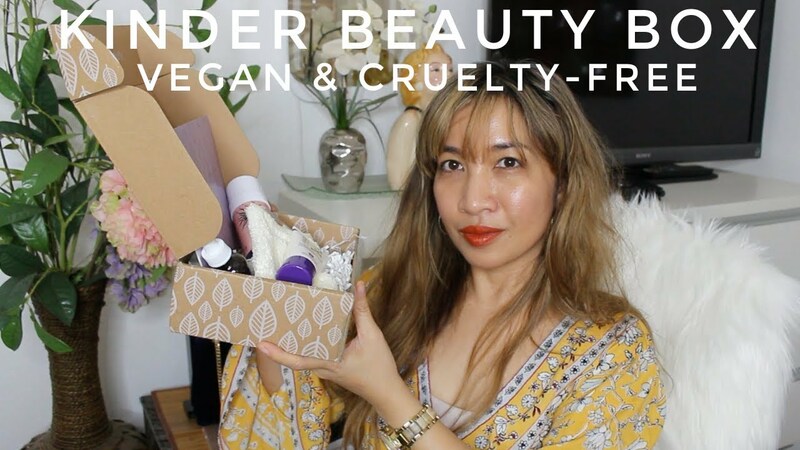 Earlier I shared my morning skincare regimen using products from Jurlique, an Australian company known for its natural and cruelty-free skincare product line. Night time is basically the same, with the exception of creams: CTM. Cleanse, tone, moisturize. You can read my review of the cleanser and toner here. 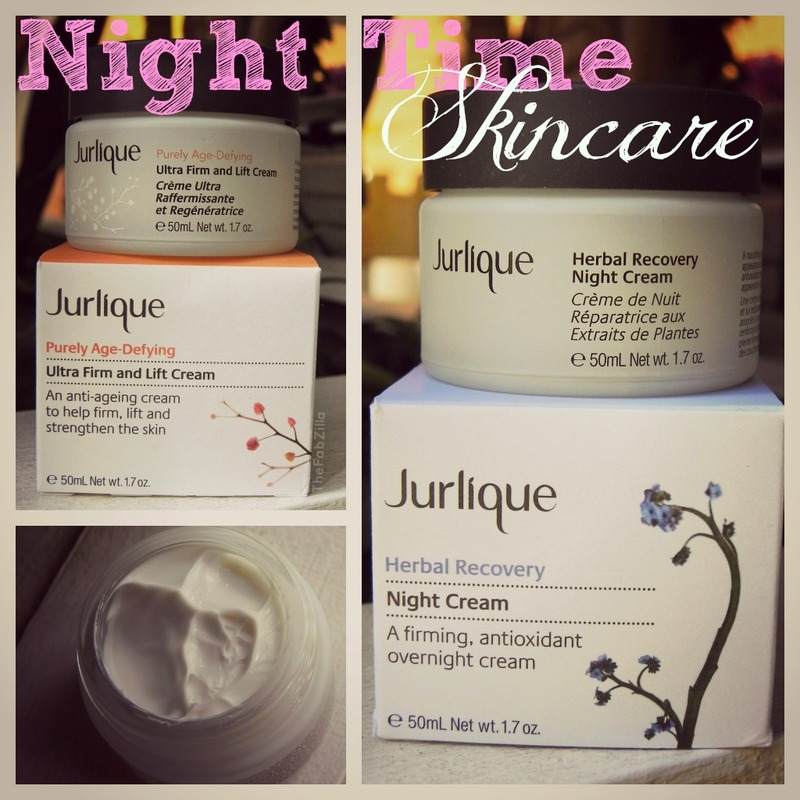 I had the opportunity to try two of Jurlique’s night creams. Let’s begin with Herbal Recovery Night Cream (50 ml, $48). Key ingredients: Moth bean extracts (similar effects as Retinol) which help refine skin texture; African birch extract, a powerful antioxidant that fights visible signs of aging; Kakadu plum extract helps to even out skin tone. Creams make me cringe. 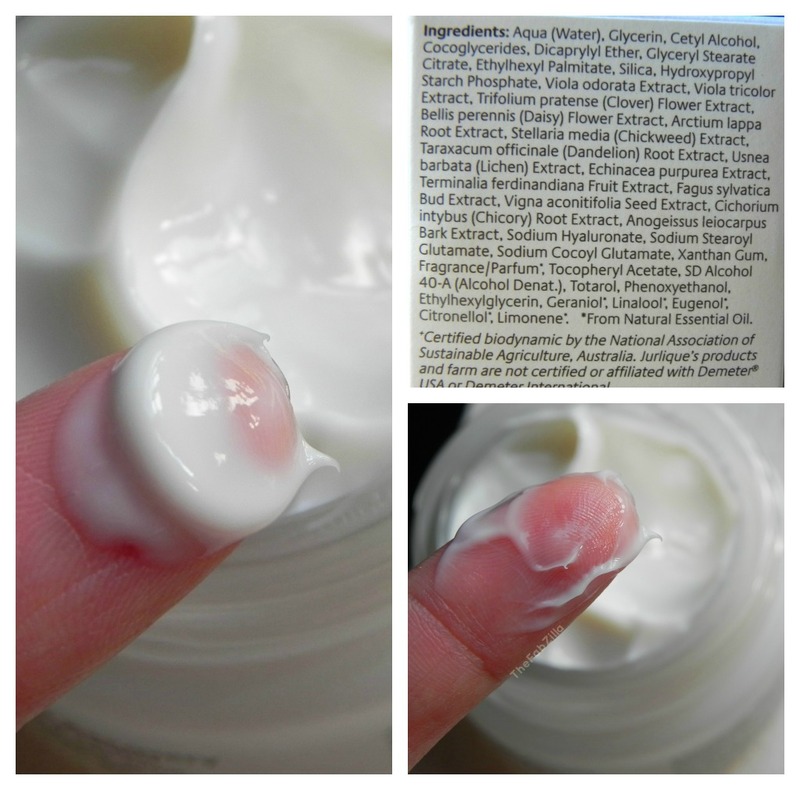 I have oily skin so I shy away from products that are labeled cream. But I was surprised with Jurlique Herbal Recovery’s consistency, it’s not thick and greasy. 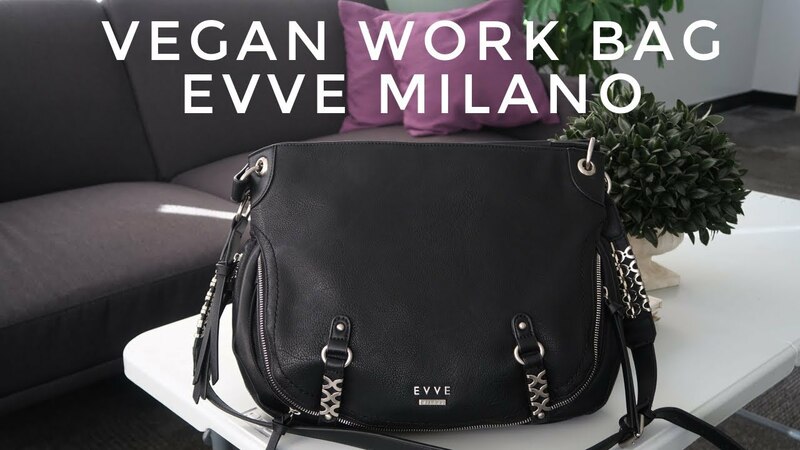 It is packaged in a glass jar that certainly adds a luxurious feel to the brand. The slight floral scent is enticing. With a pearl-sized amount, I apply it onto my face, neck and decolletage. It is absorbed easily and can be layered over retinol, another anti-aging product I have introduced to my night time ritual. It’s hydrating and my face didn’t react to its natural ingredients. 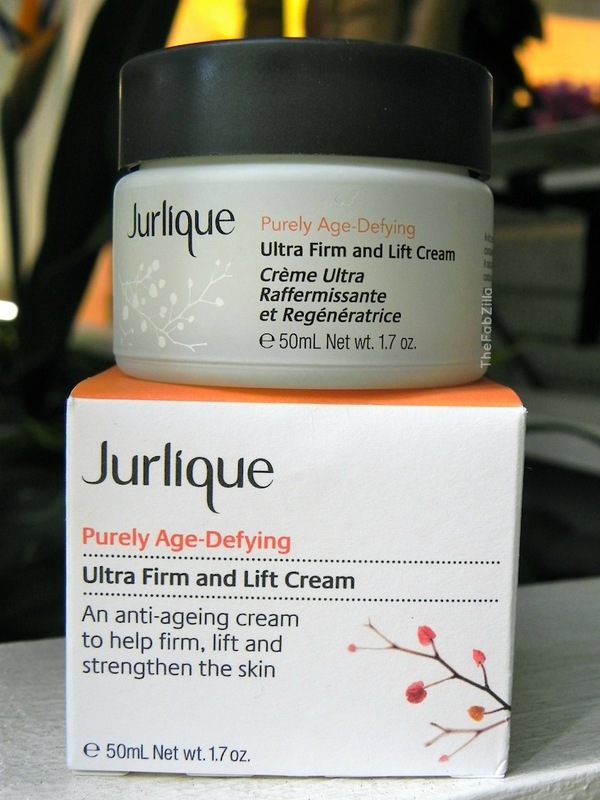 Next is Jurlique Purely Age-Defying Ultra Firm and Light Cream (50ml, $70). Product claims: immediately, more than 90% of women experienced smoother, more hydrated skin on first application; after 4 weeks an increase in elasticity was observed; after 6 weeks, 84% of women saw visible reduction in lines & wrinkles, 100% showed increase in skin firmness. Key ingredients: Plant based amino acid (DPHP) triple action ingredients help firm, strengthen and moisturize skin; Rock samphire extract and beech tree bud extract strengthen skin and reduce fine lines and wrinkles; Vitamin C helps protect skin from environmental aggressors, improve skin clarity and promotes firmer skin. Let’s cut to the chase. I don’t rely on statistics based from panel members. It’s good to use those as reference but at the end of the day, that “100% of women who had good results” mean nothing to me because our genetic makeup is different from each other. With that said, if you have oily skin and at the same time concerned with anti-aging (am in my late 30s), this cream may not be the right product for you. While I did feel a slight tightness to my face upon application, I woke up with breakouts the following day. 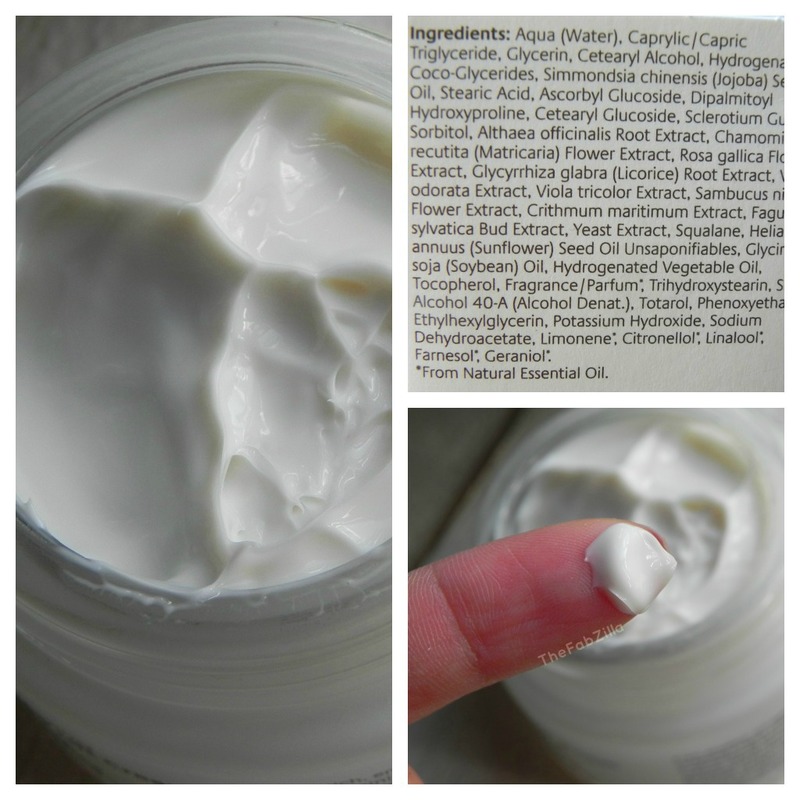 This cream is thicker than Herbal Recovery, and my gut feel tells me that this product caters more to dry, dull and mature skin. 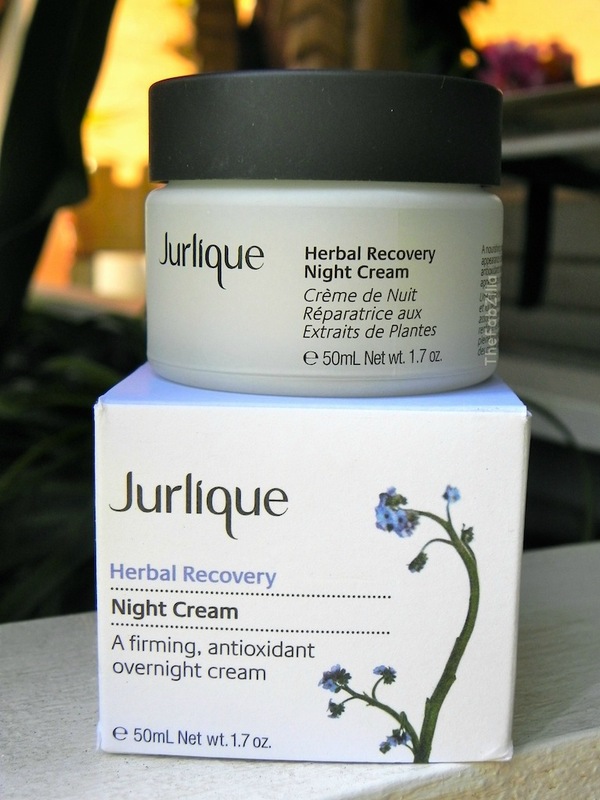 Bottom line, if you have oily skin and want to switch to natural based moisturizer, check out Jurlique Herbal Recovery Night Cream. If you have dry skin and fine lines, you might be one of the lucky 90 to 100 % who will benefit from Jurlique Purely Age-Defying Cream. 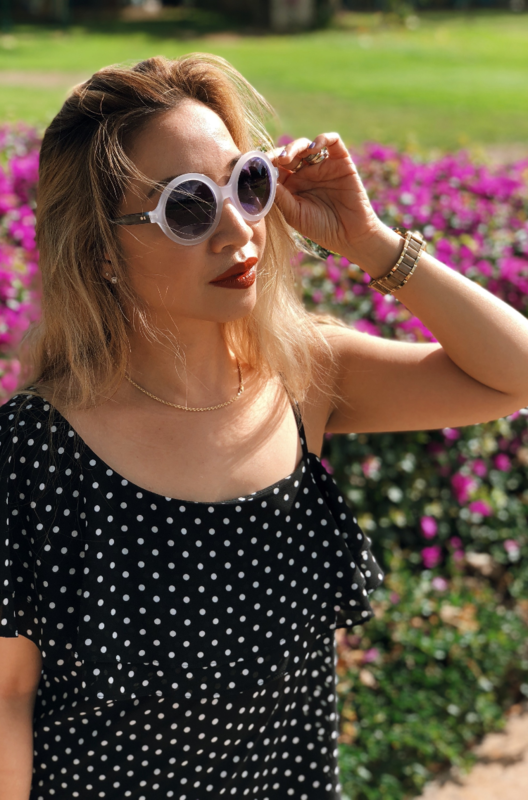 Previous Post Unmasking Facial Mask: Do you really need it?